An 18 inch, 18 AWG zip cord cable. It has a standard SAE two prong connector on one end and a set of standard ring terminals on the other end. 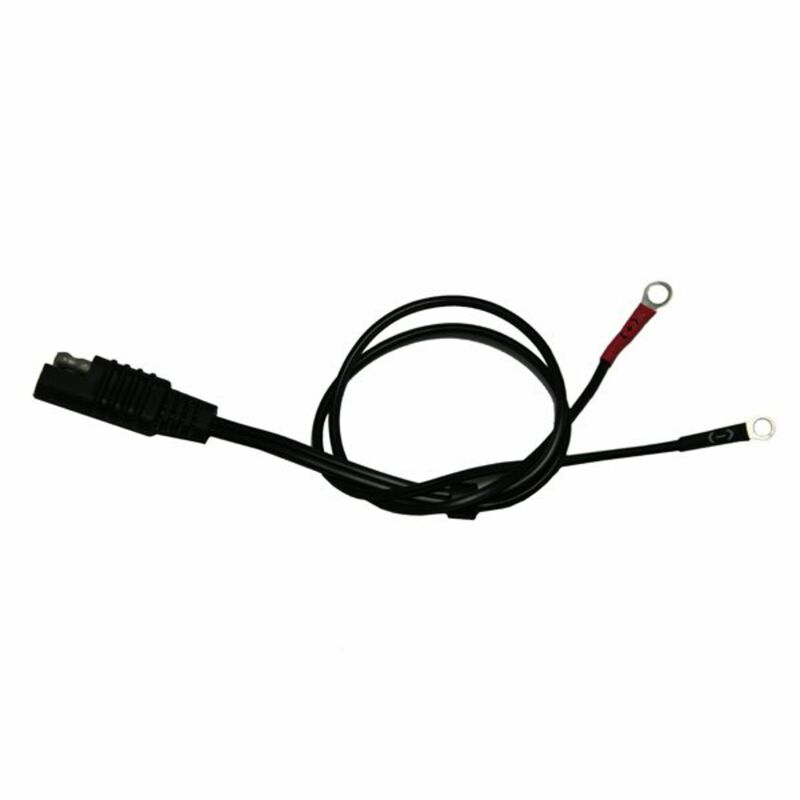 The SAE plug connects directly to the 7 amp charge controller and the ring terminals connect to a 12V battery. This adapter is specifically meant to be used with our P3 Solar foldable solar panels, as it has its polarity reversed versus other SAE adaptors. Plug the SAE adapter either directly into the panel or solar controller (recommended) and the ring terminals connect to a 12V battery. Do you own the 22700-1RC? Please, tell us what you think about it. It helps us provide you with better products. Please note that it may take up to 72 hours for your review to appear.